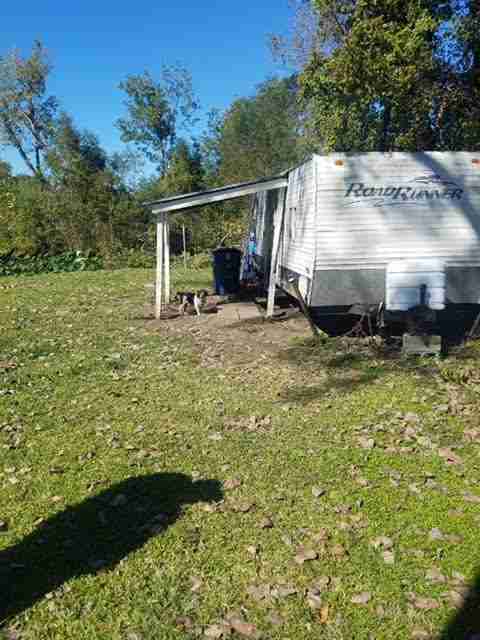 Stacey McKnight has been rescuing animals for the last 30 years — but she’d never seen a case as bad as what she found at an RV home in Melville, Louisiana. 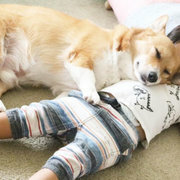 The first thing McKnight saw was Buster, a senior corgi mix who was chained to a cinder block in front of the RV home. 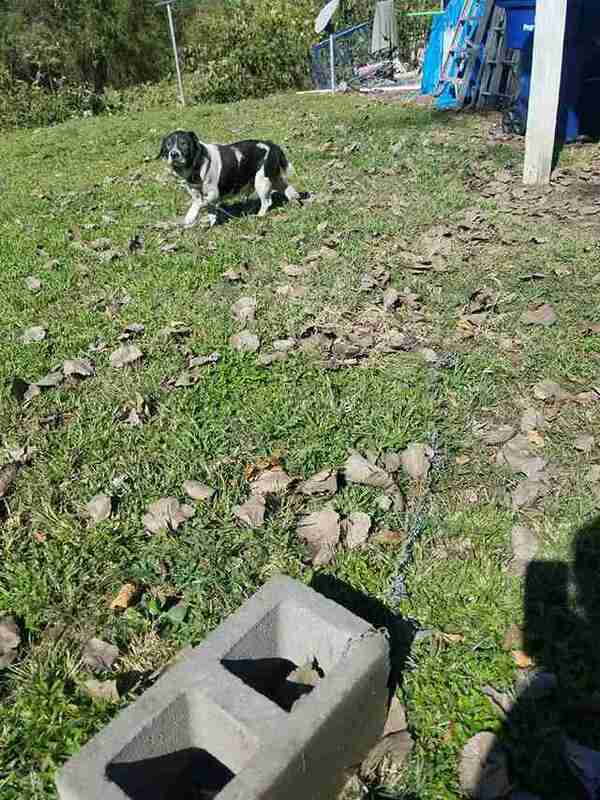 When McKnight reached out to the lady’s nephew, she learned Buster’s sad story — the dog, who’s estimated to be 9 or 10 years old, had spent his entire life chained to this cinderblock. 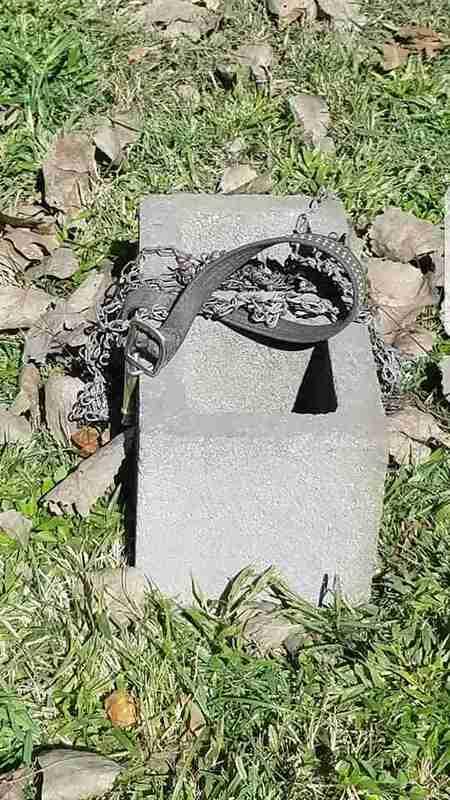 “[The nephew] said that the dog would go all over the community — all he had to do was drag the cinderblock,” McKnight said. But dragging a cinderblock would have taken a heavy toll on Buster. But this wasn’t the most shocking part of the rescue to McKnight — what concerned her the most was the fleas. Buster was covered in them. “The moment we picked him up, the fleas just covered my shirt,” McKnight said. 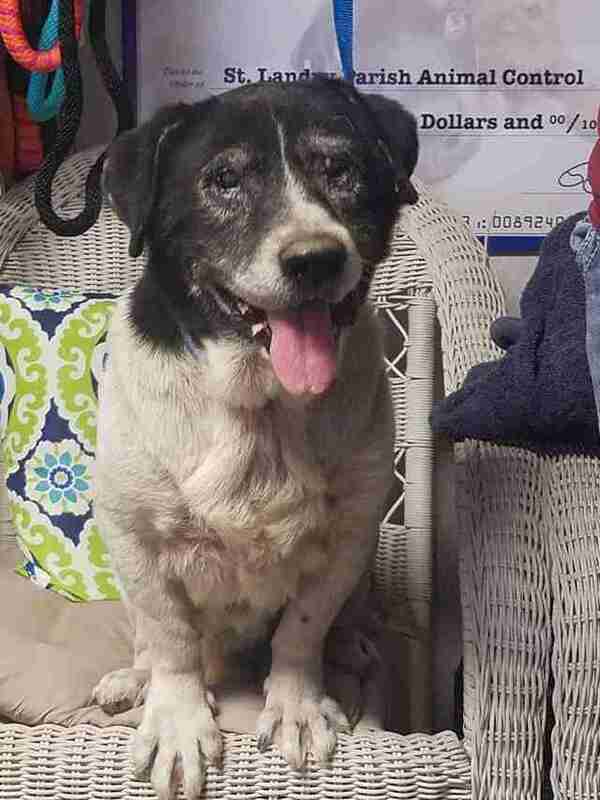 When McKnight and her rescue team went into the RV home itself, they got another shock — there was another dog in there, but she was already dead. 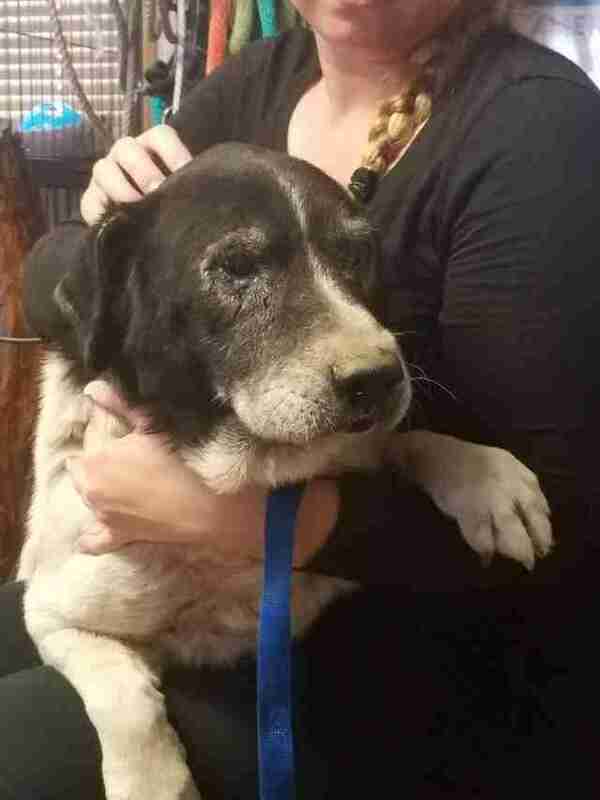 McKnight believes the fleas — and lack of food — had killed her. While help had sadly come too late for the dog inside, Buster got a lucky escape. 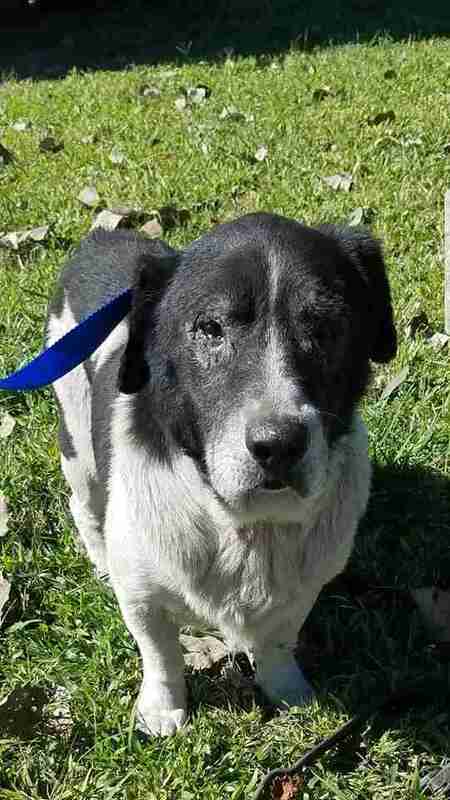 Buster is now in foster care with McKnight, where he’ll stay while he overcomes his many medical issues, including heartworm disease, cataracts and anemia. He also has some psychological issues to tackle. Buster may have been through a lot, but he’s slowly coming out of his shell. 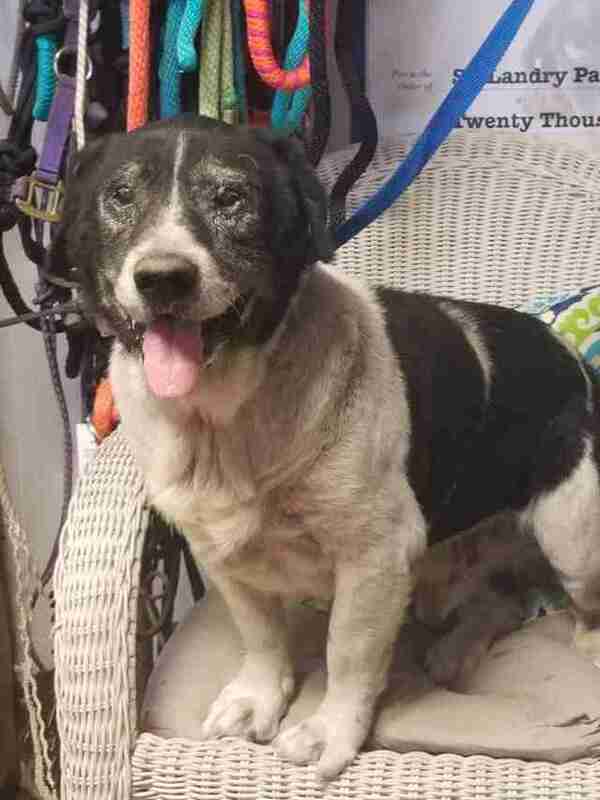 If you’re interested in adopting Buster, you can contact St. Landry Parish Animal Control and Rescue.